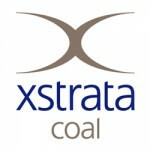 A female contractor has been killed in an accident on Saturday night at GlencoreXstrata’s Ravensworth open cut coal mine in the Hunter Valley, New South Wales. The 38-year-old operator was crushed to death on site when the light vehicle she was driving collided with a dump truck just before midnight on Saturday. It is understood the operator, who was employed as a contractor by the Skilled Group, was a trainee and had only been onsite since February. Preliminary investigations indicate the female turned through a giveway sign onto a major haul way, and was travelling in the same direction as the dump truck. According to the CFMEU the truck was fully laden at the time of the incident, and weighed around 400 tonnes, when it collided with the Toyota Land Cruiser, wedging the vehicle underneath the axle of the truck. It took rescuers more than four hours to remove the wreckage. 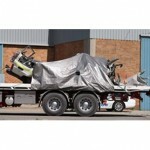 The dump truck driver was taken to Singleton Hospital suffering shock. “The mining industry is a very dangerous injury but these incidents shouldn’t happen,” he said. He went on to add that to the best of his knowledge this incident is the first time a female miner has been killed in the coal sector. Jordan called for an investigation into the industry’s transport rules, explaining the way light vehicles interact with large equipment needs to be revisited. “If we can so something [to make the rules safer] we owe it to the industry,” Jordan said. 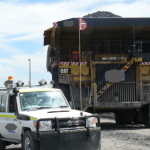 In October a worker at BHP Billiton’s Mount Arthur coal mine was lucky to escape serious injury when his light vehicle collided with a dozer at the Hunter Valley site. A GlencoreXstrata spokesperson said the company’s primary concern is for the safety and welfare of its employees. “We are providing all possible support for the families of the people involved in the incident,” the spokesperson said. Police, emergency services and three inspectors from the NSW Mine Safety Investigation Unit are handling investigation efforts. A full report will be prepared for the Coroner. 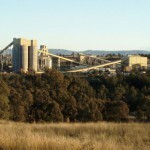 Operations at the mine, located outside of Singleton have been shut since the fatality. A GlencoreXstrata spokesperson said management is talking to each crew as they come onsite and will not be restarting operations until management is convinced workers are in the right frame of mind. The NSW Minister for Resources, Chris Hartcher issued a statement on Sunday about the accident. "I would like to personally extend my condolences to the families, co-workers and employers of those involved in this tragic accident," he said. The contractor, Skilled Group who employed the female killed in the accident was contacted for comment but said they have nothing to add, referring Australian Mining back to Glencore’s statement on the incident.